We had a fantastic red day on Thursday 18th October. Our students and staff said it was one of the best red days we have had so far. Year 7 began to learn about their own wellbeing and looked at ways of dealing with pressure and stress and feelings of anxiety. They then went on to look at the importance of hygiene – in particular, their own hygiene – they played a great game in groups called “Are you a stinker!?”. They then enjoyed a workshop around fitness and the importance of working with others. 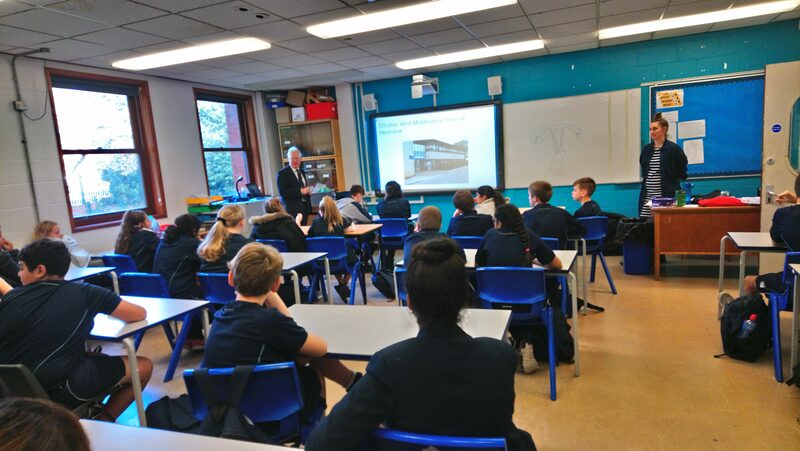 Our Year 8 students were learning from experts on the importance of drug awareness and the dangers of drug abuse. They worked in groups and discussed sensitive issues in such a mature way. We were privileged to have a GP in school who spoke to students about sexual health and contraception and the importance of looking after themselves. They also looked at their own wellbeing and took part in fitness sessions as well as listened and learned about issues surrounding LGBT+ from professionals from Mosaic. Our Year 9 students had workshops on LGBT+ issues and Wellbeing as well as a workshop from Anna Holland from the NSPCC around positive healthy relationships. In their form groups, they looked at issues around body confidence and body image. Our Year 10 kick started their Work Experience with a talk from SPARKs! – this talk looked at the importance of successful work experience and the need for them to be proactive to find work experience that suited them. They listened carefully to a talk from the Police about the importance of abiding by the law especially as an adult – they looked at the impact this can have on work as an employee. All students then looked again at Google classroom as a tool for purposeful revision in preparation for exams. Our Year 11 students looks in particular at revision strategies, the importance of positive wellbeing to cope with stress and pressure at key times as well as time to embed their routines with Google classroom as a revision tool ready for their Mock examinations. Our visitors from the various organisations who came in and presented were very complimentary about all our students – they too had a wonderful day.